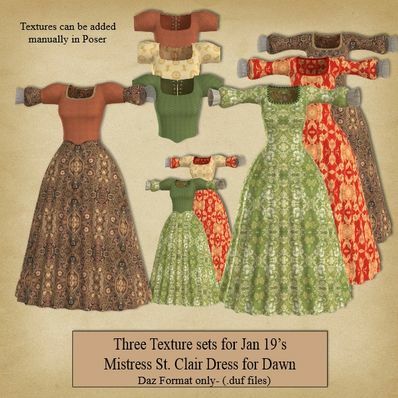 Three texture sets for use in Daz Studio 4.6. In Daz duf format only - textures can be applied manually in Poser. Love the colors and assortment of textures. Thank you for sharing.